I’ve started writing the sequel to Cyber War I and am interested in feedback and ideals. I have the outline about 50% complete, and have even written a couple of random scenes. If you’re interested in how writers write, I outline the story first to a degree that includes not only the storyline, but concepts I want to cover. That’s where I’m interested in your thoughts. I’m limited by my genre, tech-thriller, in terms of how much I can stray from the action. A literary novel could contain unlimited extraneous topics. Going off topic too much in a thriller loses the audience. I only added in a single commentary to Cyber War I, that of automation. My intent was to generate awareness of the current impact of automation in the technology industry. I did this by expressing various viewpoints through character dialog. I even shared my partial viewpoint near the end, which might not be good form but still, I think readers could take away their own point of view without me having added too much bias. I’ve had feedback on the corporate culture in the book, but that was really just coincidental as part of the story setting. I wasn’t trying to make any point with that. 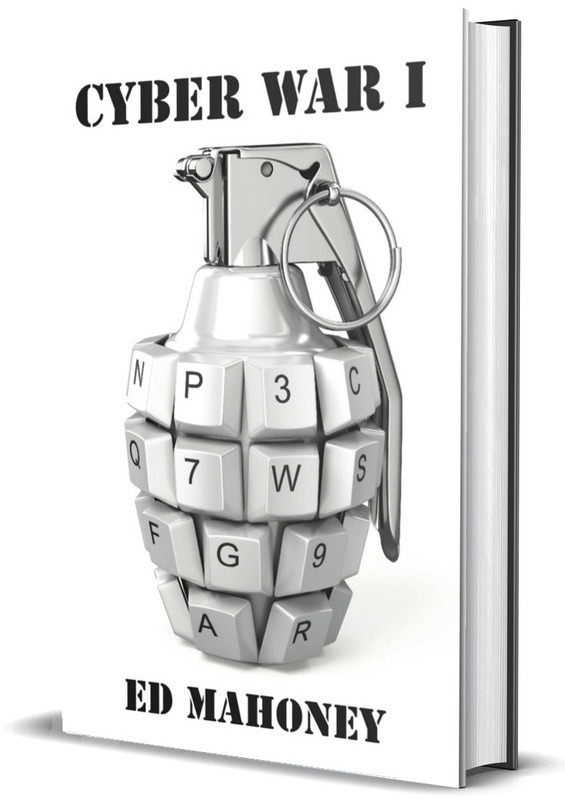 The next book will of course focus on the same topic, cyberwar, which is a cyber attack between nation states. I intend to add in commentary on big data and data privacy, which I think are highly correlated, much in the same way I commented on automation in the first book. Do you think I’m missing anything else that is very close in topic to cybercrime? Something that would be relevant and topical? And a natural fit with hacking? I need to do research on these topics ahead of time; that greatly speeds up the writing effort. By the way, this graphic will very likely be my cover for the second book. Any thoughts on that? Any characters, for those of you who read the first, you care to see return? Any that need to die? Crowdsourcing here. This is your opportunity.